By 2030, there will be about 72.1 million older persons, more than twice their number in 2000. That is an increase from 12.4% to 19% of the population. So, what does this mean for our business districts? And how do we ensure that these aging shoppers are welcome and able to visit and spend their discretionary dollars in local businesses. To be sure, the internet will play in increasing role in servicing this population. Ordering on-line and having retail goods delivered to your doorstep is not only convenient, it will certainly help more seniors remain in their homes for longer. But the experience of shopping, grabbing a bit to eat, visiting the local coffee shop, etc. will remain intrinsic to many people’s lives. In my neighborhood in Jackson Heights, the local coffee shop is taken over once a month by a local senior’s group. They chat, catch up and invite local politicians to join them during election season. 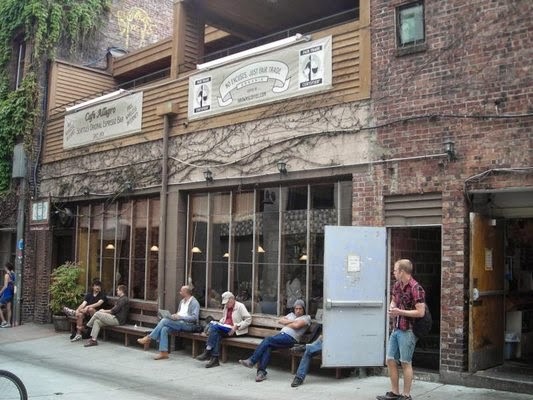 It’s a way for them to connect and remain active – and the coffee shop is more than happy to serve them. As our population ages, retailers cannot afford to ignore the reality of an aging population, particularly if 1 in 5 individuals will fall in that demographic by 2030. Fortunately, there is more and more information on age friendly business districts – but the main theme of much of the information is to remove accessibility barriers. A toolkit prepared in 2012 by the Office of the Mayor and City Council in New York is a good resource to begin to understand how we can make our districts more accessible to all shoppers, regardless of age. Click Here: “Creating an Age-Friendly NYC One Neighborhood at a Time”]. The report highlights some simple assessment tools that can help you determine the degree to which your community is accessible and walkable. The research also highlights some simple ideas that can help your businesses and your district better meet the needs of an aging population, including? 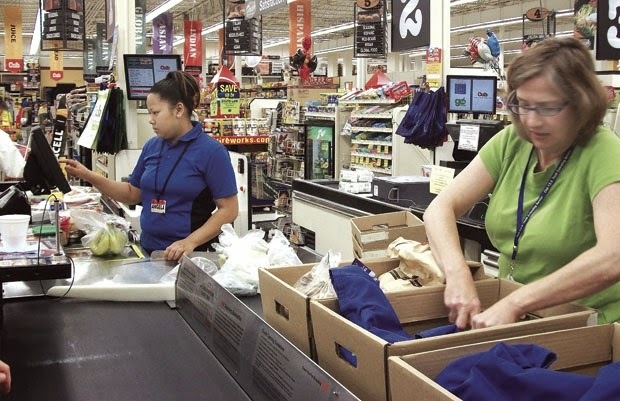 Encouraging more businesses to offer delivery, particularly grocery stores. In my community, the local grocery store automatically asks you at checkout if you want delivery. Many seniors make use of this option. 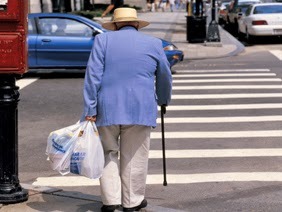 Timing traffic signals to allow seniors to safety get across the street. A few years ago I did some work in a community in Long Island hoping to improve connections between downtown and the waterfront. These two areas were separated by a six-lane road. When we tried to cross, the “walk” signal gave us 20 seconds, barely enough time for a few able bodied people…and certainly not enough time for a slower senior citizen! 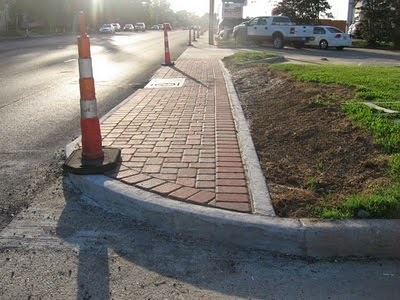 Removing high curbs to allow for improved wheelchair access. It amazes me that “improvement” projects continue to be designed in ways that do not comply with ADA requirements. Putting benches in place that allow seniors to rest during walks. In some communities, people are concerned about benches because they become places where homeless congregate. In the process, they have alienated seniors who need those benches. One answer is to allow local businesses to put out benches. That way these benches are informally monitored by the business owner.